Gov. 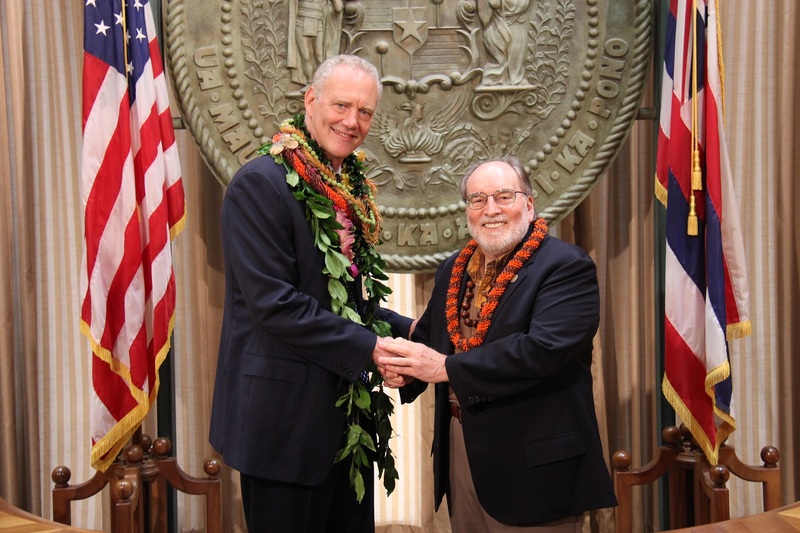 Neil Abercrombie today named Judge Michael D. Wilson as his nomination for associate justice to the state Supreme Court. This nomination will fill the upcoming vacancy when Associate Justice Simeon Acoba retires next month and is subject to state Senate confirmation. Gov. Abercrombie joined Judge Wilson and his family members to announce the appointment in a news conference this afternoon in the Executive Office Ceremonial Room. “I am very grateful and humbled for being placed as a candidate by the Judicial Selection Commission and honored by the Governor’s appointment,” said Judge Wilson. Judge Wilson, 60, has served on the First Judicial Circuit since 2000, presiding over the felony trial calendar, drug court and mental health court. Previously, he was a chairperson of the Hawaii Board of Land and Natural Resources and Commission, commissioner for the Kahoolawe Island Reserve Commission and executive director for the state Division of Consumer Advocacy. A graduate of Kailua High School, Judge Wilson earned a B.S. from the University of Wisconsin and a J.D. from the Antioch School of Law. The high court is composed of a chief justice and four associate justices. Judge Wilson is Gov. Abercrombie’s third appointment to the state Supreme Court. Justices are nominated by the Governor from a list of names submitted by the Judicial Selection Commission. A justice’s nomination is subject to confirmation by the state Senate. Each justice is initially appointed to a 10-year term. All justices must retire at age 70.